Zynga could be losing as much as $150 on every new paying customer it picks up. Generally speaking, customers who want to give you money are the kind of customers you want to have. Money makes the world go 'round, after all, and it also helps keep businesses afloat. But there's a tipping point at which what you do to get those customers outweighs their value and Zynga, in the opinion of Sterne Agee analyst Arvind Bhatia, blew past that point about $60 million ago. Zynga's marketing budget for the first nine months of 2011 was $120 million, which he said was almost entirely dedicated to acquiring new customers. "We also know that they had 3.4 million unique players in the September quarter, which is up from three million at the end of December 2010," he explained. "In other words, they added 400,000 additional payers and they spent $120 million to acquire them." That's $300 a head, yet each one spends an average of just $150 over the 12 to 15 months they stay with the company. You don't have to be a rocket surgeon to see a pretty big whole in the equation. "That math won't work for very long," Bhatia said. The slowdown is affecting the entire social games industry, he added, but Zynga is far and away the biggest player in the game. One of its biggest problems is that its new releases aren't attracting many new players; instead, people are simply moving from one game to another and discovering that the new boss is the same as the old boss. 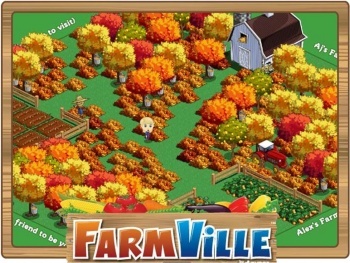 Because of that, the pressure to find "their next FarmVille" and keep investors happy is only going to intensify. "The fact that there is such a small base of people who actually pay says that your risk is tremendous," he said. "This is spread out over 20 million people. You could say, 'Oh yeah, five percent could get bored.' Although you only have two percent of your people paying, and God forbid if those guys get bored."